I’ll be the first to admit it | | Swing Big! So I’m going to do a little bit of a different kind of post today. But I think it’s just as important as the others. Today I am going to talk about food. So, as the title states, I’ll be the first to admit I have had some APPALLING eating habits in the gym. Just eating truly crappy food. Anyone who has seen me coach can attest to my Starbucks and Taco Bell habits. That being said, this year I have been putting in a really concerted effort to eating better. The energy dips are far less severe and in general I’m feeling much happier and healthier. Do any of you ever hit that end of practice slump? I used to be REALLY good for about 3 hours, and come hour 4 I would just hit a wall. With better food, that’s no more. My energy feels SO MUCH more consistent. So today I am going to share a couple recipes for you or your gymnasts. These recipes are super easy because we often get out of the gym late, we don’t want to cook etc. But I promise you’ll be so much happier with good food. 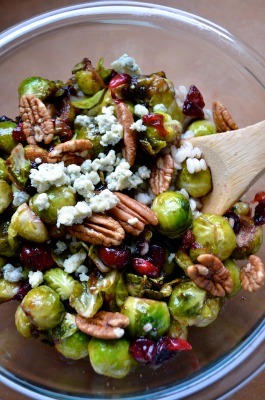 This first one is pan-seared brussels sprouts with cranberries & pecans. I’m one of those people that LOVES brussels sprouts. Also when I’m taking food on the go, I love things like this. Things I can take a few bites of and stick back in the fridge (ie. not sandwiches). It’s also super quick to make! 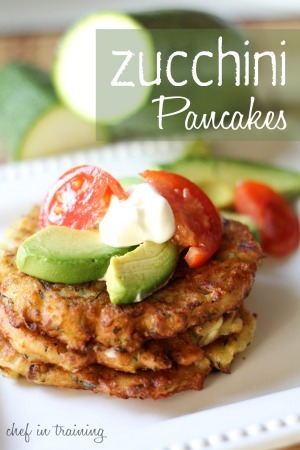 This second one is zucchini pancakes. I used to eat these ALL THE TIME growing up. They are actually one of my favorite things. I especially love that they are great for dinner, but then I could so easily throw a few in a container and take them wherever I was going the next day. And this last one is a really simple (and quick) halibut recipe. Fish can be great. Really fast and easy to cook/make taste delicious, lots of protein etc. Great when you are running short on time.